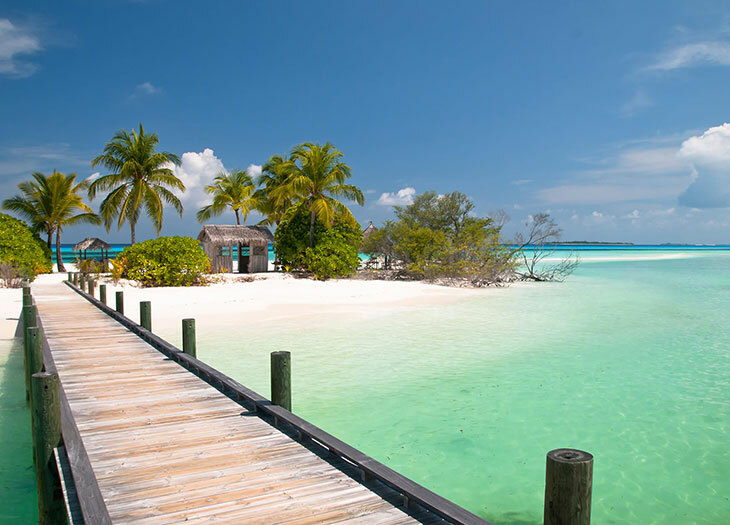 The Bahamas offer pristine beaches and a laid-back lifestyle. Warm up with mulled wine in Budapest or spend time on the beach in the Bahamas? A Christmas market in Budapest. White-sand beaches in the Bahamas. Originally appeared in October 2015 issue of Virtuoso Traveler. Below, two ways to warm up on vacation: with mulled wine along the Danube or beach time in the Caribbean. FLY: Travel business class from Chicago O’Hare to Budapest (via Vienna) with Austrian Airlines. Return from Prague to Chicago O’Hare (via Vienna). Round-trip airfare from $8,916 (including taxes) per couple. 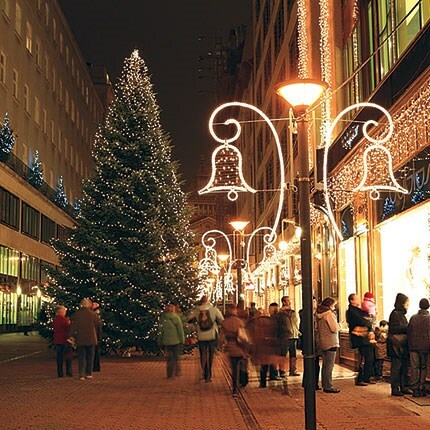 CRUISE: Popular since medieval days, Central Europe’s Christmas markets are a step back in time. AmaWaterways’ guests can share in the tradition this holiday season, beginning with two days in Budapest to admire its art nouveau architecture and take the waters in one of its many thermal baths. This eight-day voyage aboard the 161-passenger AmaBella includes visits to markets from Vienna to Nuremberg and ends with a two-night hotel stay in Prague. Balcony staterooms from $6,436 per couple. PLUS: In lieu of a Passau walking tour, join a full-day excursion to Salzburg, Mozart’s birthplace and the setting for The Sound of Music. Included in fare. FLY: Take to the skies between Chicago O’Hare and Orlando (via Cincinnati) in Delta Air Lines’ economy class. Return flight is via Detroit. Round-trip airfare from $1,034 (including taxes) per couple. CRUISE: Sometimes the best gift is just to get away from it all. A four-day Bahamas cruise aboard the 2,252-passenger Enchantment of the Seas, conveniently sailing round-trip from Orlando, does just the trick. Onboard diversions include a rock-climbing wall, eight bars and lounges, the adults-only Solarium pool, and poolside movies on a big screen, with port calls in Nassau and CocoCay, Royal Caribbean International’s private island. From $816 per couple. PLUS: Play a round at Paradise Island’s Ocean Club Golf Course, home to the Michael Jordan Celebrity Invitational. From $740 per couple for nine holes. *Prices were accurate upon the magazine's publication. Connect with an advisor for the most up-to-date rates. Need help making a travel decision? Connect with a Virtuoso advisor below. Why Is an Advisor Right for You? We could list dozens of reasons why advisors are great to work with – but instead, we'll let real travelers explain the benefits.